Energy services: is it time to change how we think about energy? Once upon a time we heated our homes and cooked by burning wood we had gathered and chopped ourselves. Later more energy efficient coal was delivered directly to our cellars via small trapdoors at street level. 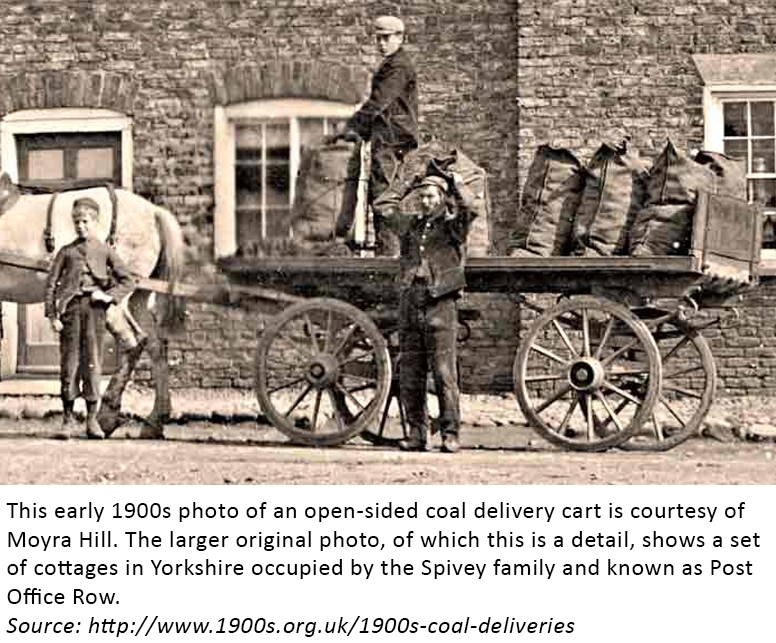 Later yet dirty coal was replaced by cleaner gas, piped to our homes, and/or electricity brought by wires. Instead of laying fires, we buy boilers and other appliances, install radiators, underfloor heating or air-conditioning, and consider insulation and efficient appliances. Some of us install solar panels and even small batteries. These actions are repeated by millions of people and businesses. Perhaps it’s time to change the way we think about energy. Millions of people are not in fact very interested in energy generation or its conversion to heat, light and so on – they engage in the actions mentioned above out of necessity – this is how energy works. What people are interested in are outcomes…they want their house to be comfortably warm or cool, to have hot water on tap….indeed, they would also like boiling water on tap to avoid the need for a kettle. People would like these things to be delivered efficiently, and at the lowest possible cost. Most people are baffled by energy tariffs, and are not experts on the relative merits of different boiler or heat pump technologies. Some have taken the plunge with smart meters only to find they’re not so smart after all. When pressed, people may find time-of-use pricing attractive, but few people are excited by the prospect of programming different appliances to run at different times in order to benefit from load shifting. Bizarrely, the entire energy industry is designed to sell something that people don’t want to customers who have little interest in or understanding of the product, because no-one actually wants electricity or gas. No child ever was excited about growing up so they could buy electricity and gas from a utility. People want what electricity and gas provide: comfort and functionality. So is it time to change the way we think about energy? Once upon a time, life was simple, and we were happy with our piles of wood and candles because we didn’t know any better. Somehow consumers have become trapped in a world where the enabler is more important than the outcome. The smart energy companies of the future will not sell electricity or gas – they will sell energy services. Much like music companies now no longer sell records or CDs, but instead provide music on demand, at the point of need, so energy companies will deliver the levels of heating, cooling, lighting, hot water etc that consumers need, when they need it. These service providers will take care of any related hardware which they will control remotely – consumers will not need to concern themselves with timers and thermostats – they will use an app to communicate their needs…if they would like the living room to be warmer they will slide the warmth scale on the app to a higher setting without needing to know what this means in temperature terms. Consumers will not worry about the settings on their fridge or freezer – these will be controlled remotely with the power draw being flexed in order to take advantage of DSR-related savings. Washing machines and dishwashers will run based on the consumer’s need, optimised to reflect changing tariffs but ensuring clean, dry clothes or dishes are ready at a time specified by the user. Consumers will be able to choose which energy services they wish to have, opting in to different functionality based on need and budget, particularly in light of any upfront expenditure on smart appliances, solar panels, heat pumps, battery storage, insulation and other capital costs that will need to be recovered during the life of the service. These changes would pose interesting challenges for traditional energy retailers and new entrants are likely to seize the opportunities as energy delivery increasing overlaps with and is overtaken by information technology in the connected homes of the future. This trend has already begun, for example via the acquisition of Nest by Google, and the development of Apple’s HomeKit and Samsung’s Smart Home services. In North Carolina, Fayetteville Public Works Commission (PWC), the largest municipal electric provider has launched a commercial home energy management system that replaces traditional meters and thermostats with a smart meter and programmable communicating thermostat. Measurement and control devices installed in the building’s heating and air conditioning system, water heater, pool pump and other appropriate devices, are all connected, and consumers set up their energy-use profile via a web portal. Together, these services account for 40-60% of peak home energy consumption, so the incentives for both the utility and the consumer are clear. Device vendors are gearing up, developing the smart, networked devices and appliances that will facilitate the energy services of the future. Just as companies like Napster realised that people wanted to buy music and not physical recording media, so a range of companies is starting to wake up to the fact that people are interested in what energy provides and not in the energy itself. 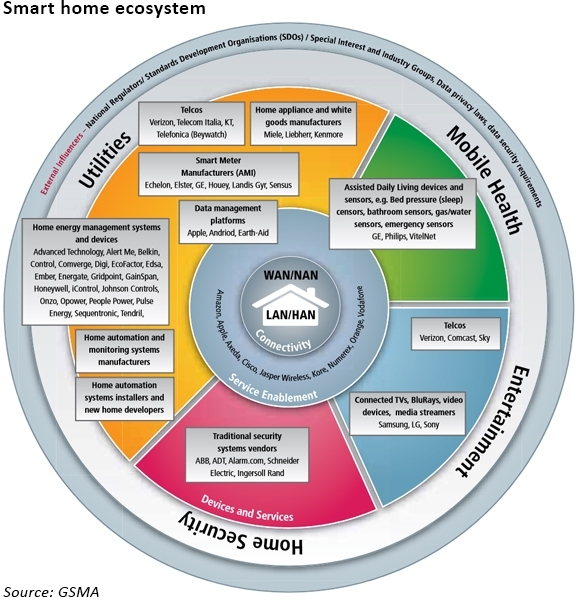 The emergence of the connected home provides the means for the next revolution in energy delivery. I would agree that heat and light will become more like TV & broadband offerings whereby consumers don’t own the dish, cables or box, they simply rent them via paying a monthly subscription. However music companies do sell still sell records and CDs. Whilst total numbers are down, vinyl has been increasing in the last few years. Consumers still buy them for nostalgia reasons as much as anything. However it is difficult to see consumers heading back to coal to remind themselves of the ‘good old days’! Another giant step towards the completely brain dead consumer. At what point will producers realise that in fact they dont want the consumers at all, just their money? Carl Andrews on Will new BIPV technologies finally see the concept go mainstream?